Create your own custom Samsung Galaxy S9 case. Your favorite design printed on a custom phone case. The most functional case combining a phone case and a wallet. The best protection for your cell phone. 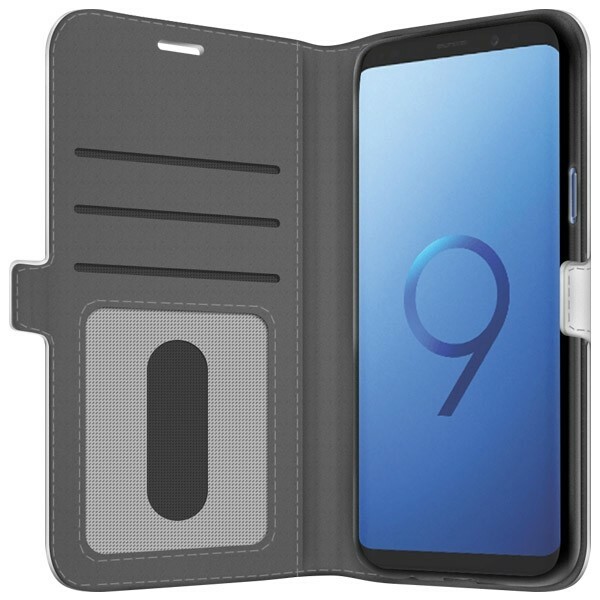 Our custom Samsung Galaxy S9 case offers the best protection you can give to your cell phone. With the custom wallet case you can store your smartphone and your important cards in the very same place. On the inside of the case, you will find slots for your cards and even for cash. 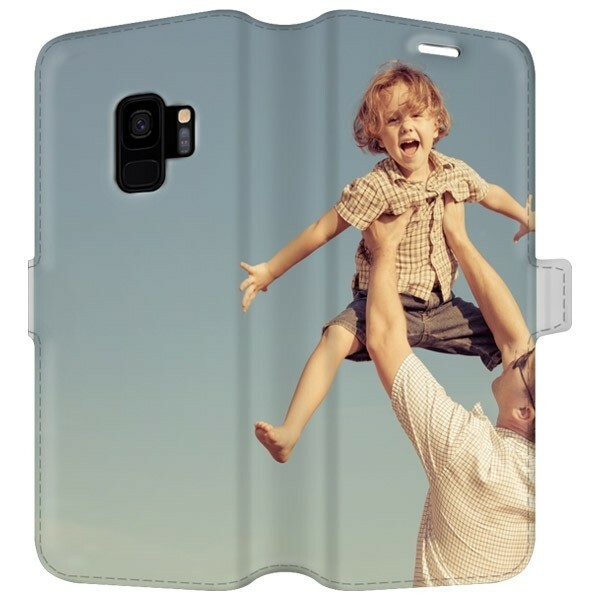 For the design of your custom Samsung Galaxy S9 case, you can choose your favorite picture or design. If you want you can also add text or an important date on top of that. Our customizer offers many different features so that you can adjust your picture and edit it until it looks exactly like you wanted it to. At GoCustomized, we use high-quality materials to ensure that you will receive a very resistant case so that your custom phone case and your smartphone stay in good condition for a really long time. How do I design my custom Samsung Galaxy S9 case? It is very easy to make your own phone case. You will only need a few minutes until your design is ready. Our design tool is extremely easy to use. You can upload your picture or design from your computer or if you prefer, also from a social media account like Facebook or Instagram. Once you have decided which design you like best, you can give it a personal touch using our customizer so that you will get a truly unique custom Samsung Galaxy S9 case. Among other editing options, you can add a text or date to your design with our customizer. A custom phone case also makes a great gift. You don't know what to give to your best friend for his or her birthday but you want it to be something special and different? A custom Samsung Galaxy S9 case is the best idea for a special and personal gift. When you are finished designing your custom phone case, it is ready for production. At GoCustomized, we promise you to produce and sent your order within 24 hours of purchase so that you will receive it as soon as possible. For the print of your custom Samsung Galaxy S9 case, we use state-of-the-art printing technology that allows us to offer excellent results. 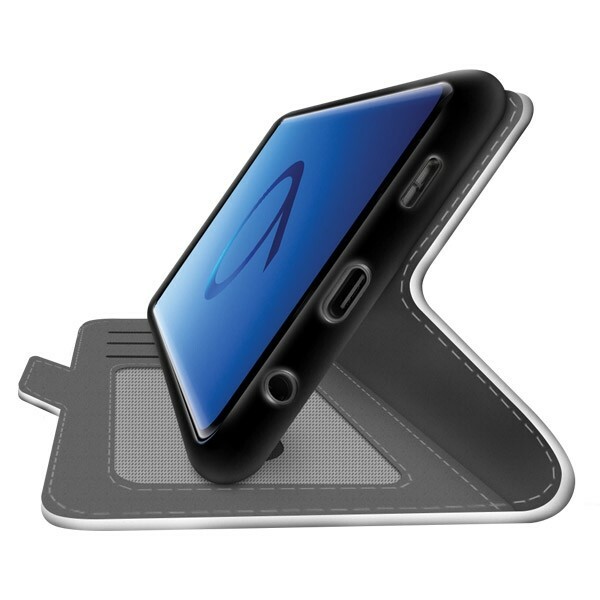 The best part is that your new custom phone case will be resistant to scratches! And not only will your cell phone be protected in the best possible way but you will also have a new, one-of-a-kind accessory.